We can’t get enough of this feminine country-chic floral print sundress—and it comes in two great color choices. 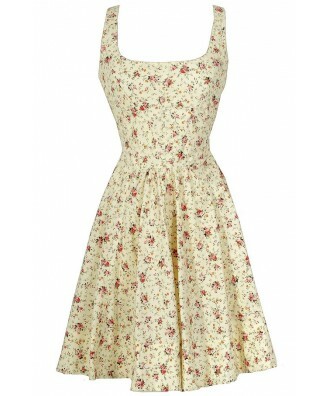 The Shabby Chic Floral Fit and Flare Cotton Sundress has a vintage-inspired feel to it. It is made of a weighty 100% cotton fabric with a miniature floral print throughout. 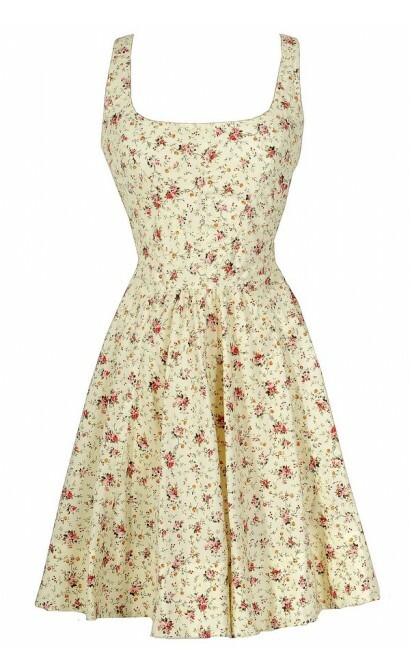 It has a flattering rounded neckline, empire waist, and a fit and flare skirt reminiscent of the 1950s. An exposed back zipper completes this dress. 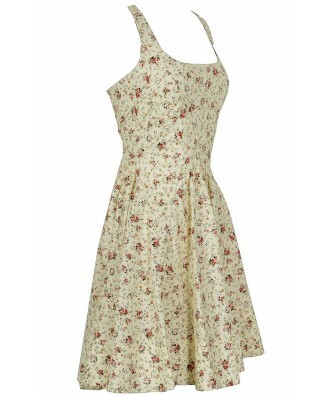 The Shabby Chic Floral Fit and Flare Cotton Sundress would be perfect to wear to almost any summer event. It looks great dressed down with flat sandals and an oversized bag, or you can dress it up with neutral pumps and a cute purse. This is a great dress to pack on vacation because it can be worn casually or dressed up. Details: Lined at bust. Exposed back zipper. 100% cotton. Hand wash cold. Do not bleach. Tumble dry low. Small measurements: Length from top of shoulder to hemline: 36”. Bust: 34”. 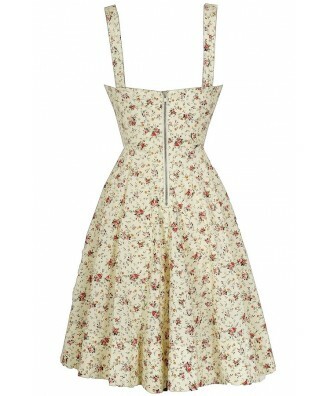 You have added Shabby Chic Floral Fit and Flare Cotton Sundress in Ivory into Wishlist. You have added Shabby Chic Floral Fit and Flare Cotton Sundress in Ivory for Stock Notification. You have set Shabby Chic Floral Fit and Flare Cotton Sundress in Ivory as a loved product. 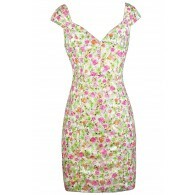 You have removed Shabby Chic Floral Fit and Flare Cotton Sundress in Ivory as a loved product.